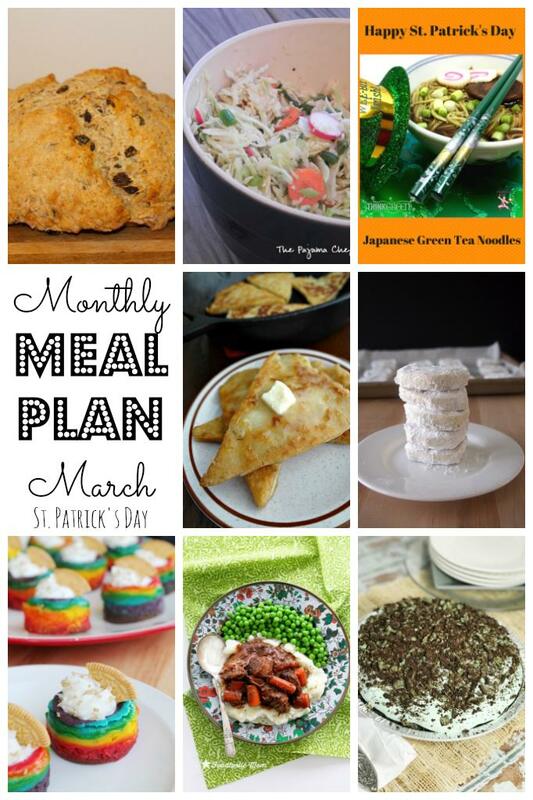 I'm joining a terrific group of bloggers for a monthly meal plan post. 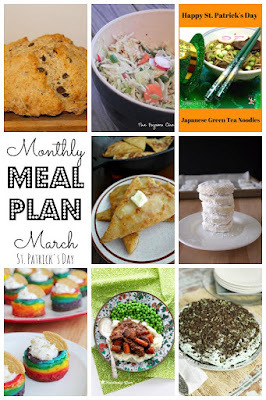 We will post the last Sunday of each month will meal and recipe ideas for the upcoming month. March's theme is St. Patrick's Day. Check out the ideas below! This month I'm participating in my first #FoodBloggerLove event! For February the assignment is similar to that of the Secret Recipe Club, which I really miss, so I knew I wanted to participate in this one. I was assigned Feeding Big as my blog to showcase. This blog is written by Cynthia and she likes to share clean eating recipes, easy recipes, and recipes that families would gobble up! Her blog was new to me, which is one of the reasons I love participating in these type of events! She has loads of delicious recipes, but also writes about gardening, crafts, and much more. One thing Cynthia and I definitely have in common is a love for apples! If it were apple season, I would have been all up in her apple recipes. I'm also going to be making some of her hot pepper oil with my dried chile peppers. I think this would be so delicious on roasted potatoes and grilled vegetables. However, since it's February, I knew I wanted to make a Valentine's Day appropriate recipe from her blog. 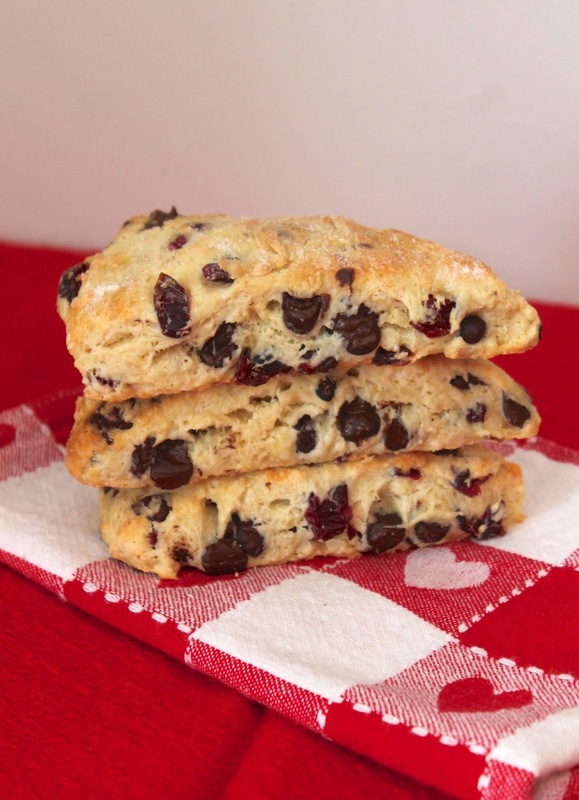 After looking around, I decided on making a batch of her chocolate chip cherry scones as a treat! These scones turned out super yummy! Perfect for the weekend before Valentine's Day, or any special occasion. I made mine into wedges only because I was feeling lazy. I'm just recovering from an awful flu! It's been terrible. Below is Cynthia's recipe, just slightly modified. It will make about 16 scones.